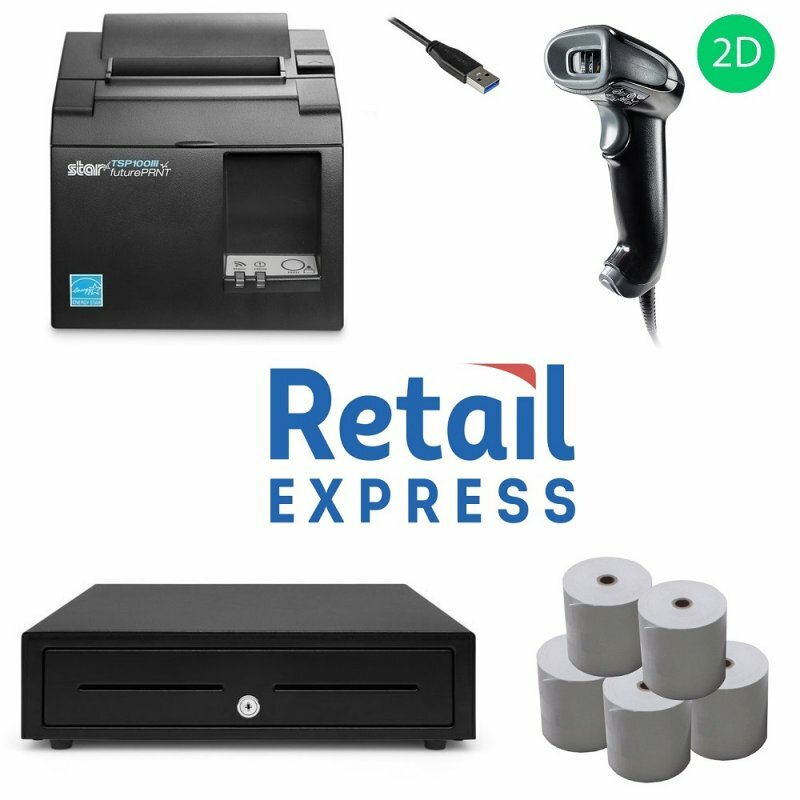 This Retail Express Bundle is compatible with PC & MAC and allows you to provide your customers with Free Promotional Material and Digital Receipts using AllReceipts by Star Micronics. This bundle is compatible with both PC & Mac when using Retail Express Point of Sale Software. The Star TSP143III USB Thermal Receipt Printer offers Star Cloud Services which includes AllReceipts digital Receipts which allows you to add marketing material and coupons on your receipts while also providing you clients with a Digital Receipts which can be scanned directly by their mobile phone. This is a completely free service offered by Star Micronics. Have your customers coming back into store offering valuable coupons and discounts all from just using the Star TSP143III Receipt Printer!